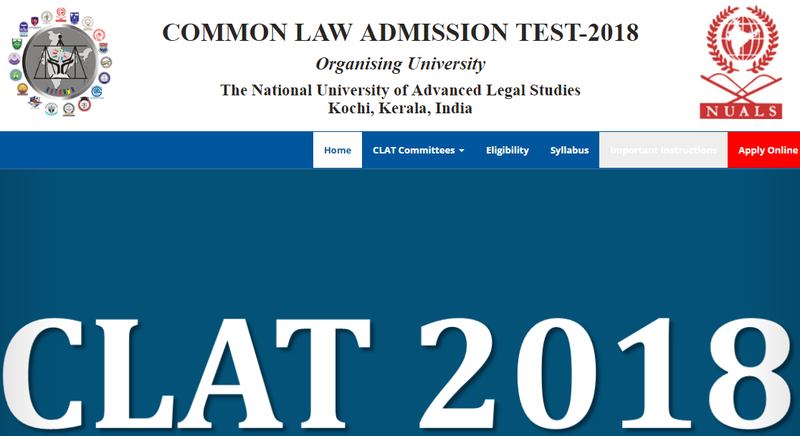 Applications were invited for Common Law Admission Test (CLAT) 2018 which is an all India common entrance examination conducted by The National University of Advanced Legal Studies, Kochi, Kerala. for students seeking admission to various National Law Universities in India. Qualification: Passed with 45% Mark s in 10+2 and 40% Marks for SC/ST candidates. Qualification: Passed with 55% Marks in LLB / 5 Year Integrated LLB (Hons.) / any other equivalent exam and 50% Marks for SC/ST candidates. Visit https://admissions.clat.ac.in/clat2018/ and click on Click here for New Registration. Make Payment of the Application Fee either through Online or Offline. Check all the information entered and Submit the Online Application Form.